Not much is known about Malcumus Erlond. People know he is a druid and a mysterious man, that lives in the old cottage on Death Cliff Island. People often say too, that is has a magic potion that turns anyone into a very smart person! Hey guys, this is my 6th and final entry to the CCC, to The Merry Band category. Stunning! Such a clever and unique build Cesar as always! The rockwork is quite nice and the structure itself is magnificently done! The ramshackle walkway hanging over the precipice is a very nice touch. Again, hats off to you sir! Just saw and faved this on flickr. 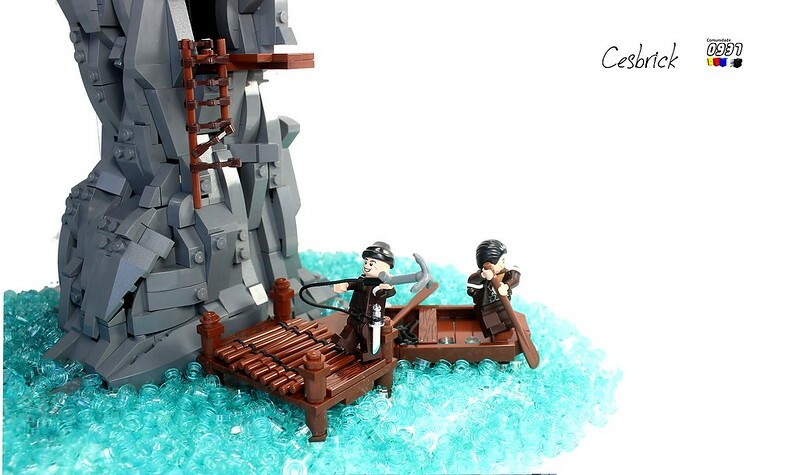 Lovely moc! Really great use of colors and textures. Crazy! 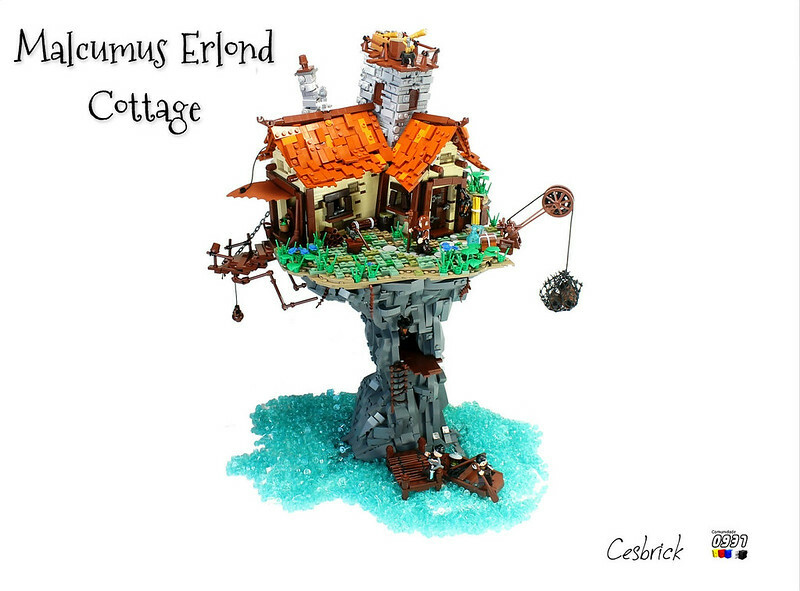 What a nice place Malcumus Erlond has chosen to live in. A truly work of art ! Thanks for sharing. Meanwhile i doesnt find new/other words for your MOC`s . So much visual complexity mixed with irregularity and a strong human touch… all derived from cartesian elements - plain stunning! 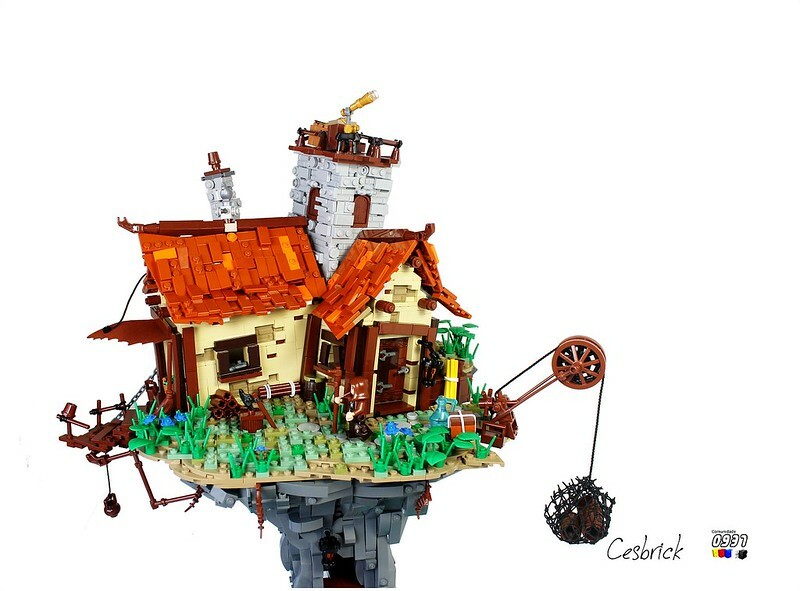 Amazing build again cesbrick, the rock-work and cottage are simply stupendous! Nice posing with Marcus and Gairbert as well! 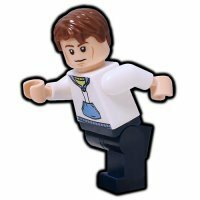 Thanks Garmadon! Those two (the posing and faces) were one of my favourites part of this build.